What better way to start the day, than to grab that brilliant hot enjoyable espresso coffee from one of your fabulous workplace coffee machines. With coffee now such a big part of our lives, workplace coffee machines are now standard work place accessories. The Rex royal s200 automatic coffee machines are perfect examples. The very best coffee machines on the market. Next time your team are looking to upgrade your workplace coffee machines. Make sure you consider the Talento. And The Rex Royal Workplace coffee machines as your first option. Many great organisations have installed both the Talento automatic coffee machine. 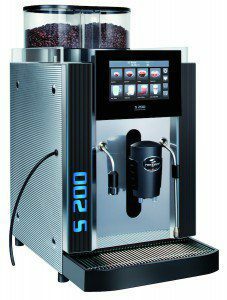 And the Rex Royal S200 automatic coffee machines in their workplaces. Many employee are now enjoying many wonderful morning smoko breaks and morning cappuccino’s. If you would like that perfect cappuccino, latte, short black or flat white when your arrive at work. Don’t hesitate to rent or purchase your new workplace coffee machine from Pierro Coffee. Koffeeone are well established and are one of the leading Australian brands importing automatic coffee machines. From pubs to hotels, small local cafe’s and restaurants to conference centres and venues, KoffeeOne has something for everyone. No business is too big or too small. With over 20 years experience in the hot beverage industry, Koffeeone are very experienced in providing perfect automatic coffee machine solutions for any hospitality requirement.